Meth Lab Cleanup leads the industry in technology development initiatives focusing on earth-kind detergents and non-invasive equipment and methodologies. Recently, the past performance evaluation relied upon by the US government rated Meth Lab Cleanup Company with an overall performance rate of 94%. certified. In addition, Meth Lab Cleanup consults clients on insurance claims and offers expert witness testimony. We also offer regulatory development consultation. 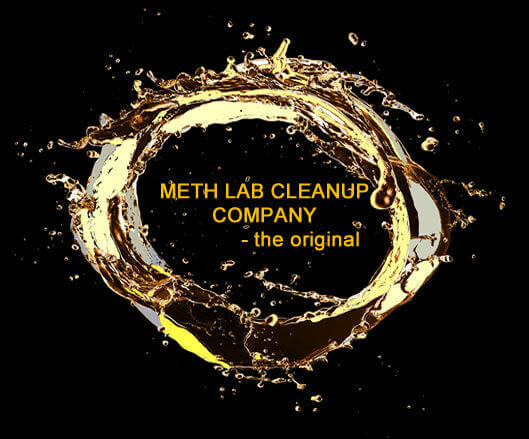 Meth Lab Cleanup Company is built on strong values and integrity. Our immediate and long-term objective is to manage and resolve clandestine drug lab contamination issues in a timely, practical and cost effective manner. We hold ourselves accountable to our customers, our regulators and our technicians by honoring our commitments, providing results, and striving for the highest quality. Meth Lab Cleanup Company has been successfully testing and remediating properties for over 15 years. You can count on our experienced technicians to quickly restore your property and protect you from future liability. Management is involved in every stage from project implementation to completion; offering support to both the client and the oversight agency. Meth Lab Cleanup Company is committed to maintaining the confidentiality and integrity of personal information about our current and prospective customers. We are proud of our service and we will strive to protect the value of your property. Meth Lab Cleanup's goal is to have customer service that is not just the best, but legendary. Meth Lab Cleanup Company was founded in 2003 to help respond to a rising tide of clandestine drug laboratories and the corresponding interior and exterior property contamination. Technology development initiatives focus on environmentally-friendly applications, specialized equipment and methodologies. We offer one-of-a-kind, on-site meth residue testing products. Meth Lab Cleanup technicians are field chemistry, clandestine drug lab decontamination, hazardous waste packaging and OSHA certified. All our technicians have over a decade of field experience. AccuMeth®, MethAssure®, and Black Box Reader® brand meth test kits are precise and reliable. No false positives, no hazardous wastes, no special handling. Our professional staff combines expert judgment, state of the art resources and a company wide dedication to understanding the needs of our clients to provide expedient and effective services. Meth Lab Cleanup's experience and dedication ensures that our clients' expectations are always met or exceeded. We commit to the agreed upon scope of work and deliver as promised.